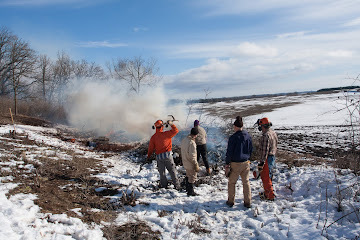 Groundswell hosts outdoor volunteering (work parties) at our two nature preserves. With your help, we restore and care for our local natural landscapes for communities to enjoy and wildlife to thrive. 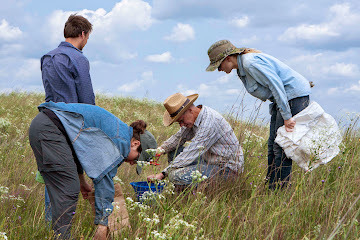 We spend our time collecting seeds, managing invasive plant species, and working on other preserve improvement projects. A typical work party lasts three hours and consists of one to three tasks. Groundswell provides the tools, you bring your gloves. Remember to wear proper attire for the weather and outdoor work; sturdy clothes and boots are best. If you'd like to join us, please sign up for email invitations below. We meet every third Friday of the month from 9 am to noon. Click here to see where we meet. We meet every second Saturday of the month from 9 am to noon. Click here to see where we meet. If you have questions about our volunteering or would like to set up a group volunteering day, contact Tony Abate at tony@groundswellwisconsin.org or call (608) 258-9797.